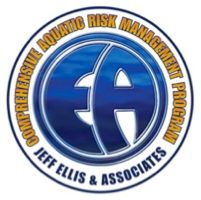 E&A 32ND ANNUAL RON RHINEHART IASS® | Jeff Ellis & Associates, Inc. The Ron Rhinehart International Aquatic Safety School® (IASS®) will be celebrating its 32nd year of “Making a Difference In Aquatic Safety”, at the beautiful Arizona Grand Resort and Spa, in Phoenix, Arizona. Educational sessions will be held at the resort, and at the City of Tempe’s Kiwanis Indoor Wave Pool and McClintock Pool. On-site registration for the school will begin Sunday evening, January 7th at 5:30PM on the Sunset Patio, followed by a Welcoming Session in the South Mountain Ballroom at 7:00PM. Programming will begin Monday morning, January 8th at 8:00AM. Participants will be grouped according to years of experience in aquatics, teaching experience, and skill level. On Friday evening, the school will conclude with a banquet that will take place from approximately 7:00PM until 10:00PM. All students must hold a current/valid International Lifeguard Training Program® (ILTP®) Lifeguard/Lifeguard Instructor license, or an ILTP® Lifeguard Course Completion Certificate to take part in the school, and must be registered, through the “IASS®” tab in Clients Services, prior to the start of the school. Attendees who do not hold a current credential as a Lifeguard/Lifeguard Instructor through the ILTP® prior to the start of the school must register for the Blended Learning Lifeguard Training Program in section 5 of the IASS® Registration Form, in addition to the IASS® Tuition. ** These students must complete the On-Line portion of the Program, the Flipbook, prior to December 31, 2017, as completion of the Flipbook is a prerequisite for entry into the class. They will also be required to attend the ILTP® Practical Completion Course, 8:00AM until 5:00PM on Sunday, January 7th. An on-line learning, Train-the-Trainer program, with class materials delivered in an e-Learning format (to be completed prior to the school) as part of the Instructor Pre-Course Materials Package. Train-the-Trainer is designed to teach trainers how to facilitate and lead training sessions, this course teaches candidates professional presentation skills that are applicable when teaching a lesson, and is based around specific knowledge of how to design and instruct lessons so that working memory transitions into long-term memory to achieve successful training outcomes for the student. The Train the Trainer Course teaches topics including adult learning theory, how to prepare and teach lessons that cater to diverse learning styles, the importance of assessment and different ways to assess learners, as well as, how to communicate constructive feedback when training people, among others. Trainer candidates in this course will gain valuable knowledge and experience that translates to teaching any lesson or training session at their facility. Completion is mandatory for all Instructors and 0.4 CEUs will be awarded to students upon completion of the online course. A blended learning vanGUARD Aquatics Leadership Program® with class materials delivered in a e-Learning format (to be completed prior to the school) as part of the Instructor Pre-Course Materials Package, coupled with a classroom session to complete the course. Updated for 2017 vanGUARD meets the Model Aquatic Health Code lifeguard supervisor training requirements outlined in MAHC section 6.2.2 “Lifeguard Supervisor Training Elements”. Lifeguard Supervisors learn important topics related to leading lifeguard teams, such as: how to manage lifeguard scanning and vigilance, techniques for developing and evaluating Zone of Protection® areas, development of Emergency Action Plans, and being preventative in an aquatic facility environment, among others. The course offers users resources and templates for customization at their facilities and comes with creative team-building exercises and activities designed to reinforce learning topics within the program. Students will complete the blended modules before taking the 2-hour interactive leader-led (classroom) portion of the class at the school. Completion is mandatory for all Instructors and 0.4 CEUs will be awarded to students who successfully complete the online and classroom portions of the course. Hotel reservations must be made by 5:00PM Wednesday, December 6, 2017. After this date, reservations will be accepted on a space and rate available basis only. Reserve your room EARLY! Full IASS® tuition will be charged to those registering after November 30, 2017. Tuition includes $50 per student for lunch Monday – Friday.